The city of Valen cia was founded in 138 B.C. by the Roman Consul, Decimus Junius Brutus. It fell under the rule of the Visigoths, Byzantines, and later Arabs, until, in 1238, Jaime I the Conqueror incorporated it in the Kingdom of Aragon. The city of Valencia was established as capital of the kingdom that takes its name, and had its own laws that subsisted for nearly five centuries. It was during this long period that Valencia forged and consolidated her material and spiritual personality, erecting magnificent monuments and creating cultural and judicial institutions. The city gracefully mixes new and old, with modern public services, business establishments and leisure attractions, all moving against a backdrop of historically important civic and religious buildings, monuments and museums. Among these are the Fine Arts Museum, Modern Art Museum, Ceramics Museum, Taurine Museum, Fallas Museum, City of Arts and Sciences. Valencia is the third largest city in Spain, and has a population of nearly 800,000. 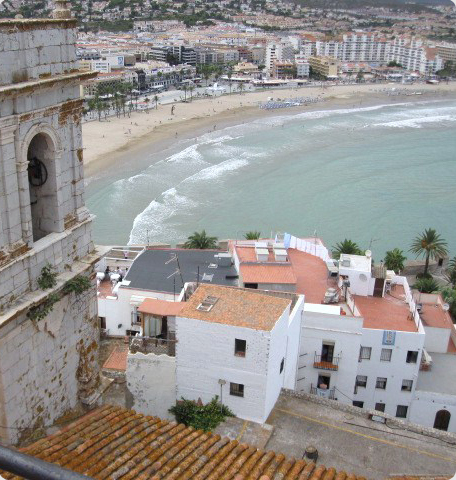 It is a coastal city on the Mediterranean, and is surrounded by immense beaches. Because the regional climate is so mild (yearly average temperature 73 °F), it is quite pleasant to visit the beaches during the greater part of the year. Just at Valencians are hardworking in industry, they are also hardworking at making a success of their festivals. "Fallas", Holy Week, the July Fair are the most renowned. 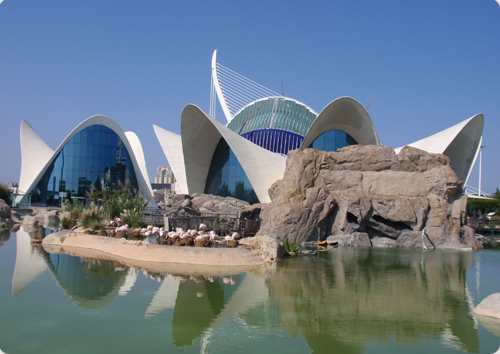 Valencia is well located with respect to other interesting cities in Spain. There are good continuous connections to these cities. Valencia is also the natural stepping stone that connects the Iberian Peninsula with the Balearic Islands: Mallorca, Menorca, Ibiza and Formentera.